A unique new sports activity is coming soon to the Valley -- competitive ax throwing. 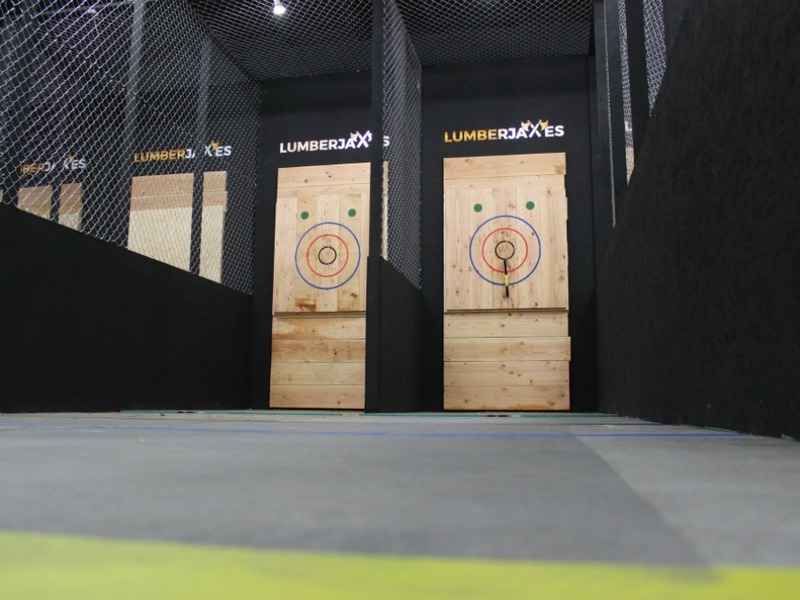 Already a popular sport in Canada, Corey Seasy and Angelo DiNardo have teamed up to open LumberjAxes -- believed to be the first ax-throwing club in the Valley -- in Tempe. 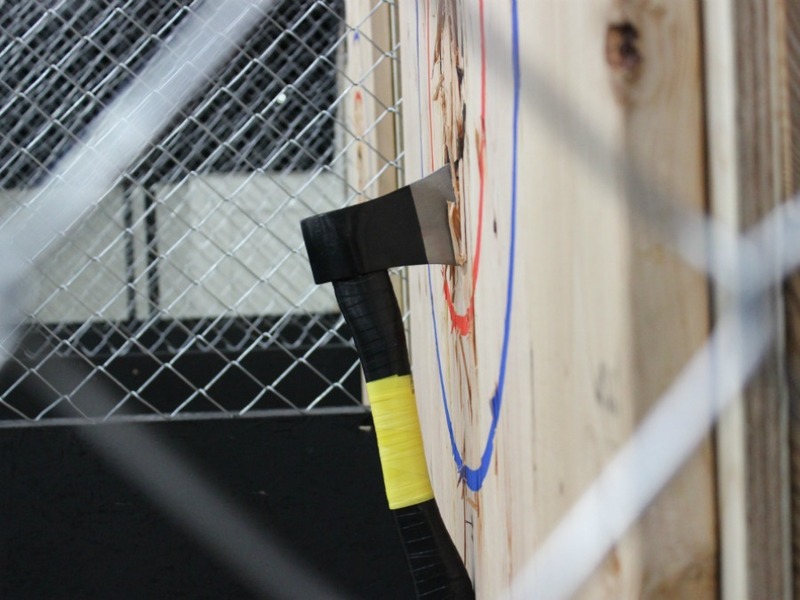 Seasy said ax throwing is gradually becoming more popular in the United States. Staged inside an old warehouse near 48th Street and Fairmont Drive, the facility looks similar to a shooting range. It has eight bays, with two throwing lanes each separated by chain-link fencing. How exactly do you throw a competitive ax? "Anyone can do it with a little bit of training," said Seasy, who himself has competed in ax-throwing competitions. And better yet, do not need to be a lumberjack to do it. The technique involves four things: grip, stance, wind-up, and release. Seasy told ABC15 that the goal is to get the ax to do one complete rotation before striking the board. One of Lumberjaxes' experts will go over those techniques and other safety instructions before each session, Seasy said. In terms of safety, as a rule, you have to be at least 18 years old to throw axes. There are picnic tables outside of the throwing zone where friends, family and co-workers can watch. ABC15 anchor Steve Irvin gave it a try and had the technique down in a few tries! Lanes are reserved as "tournaments" and each lane can hold a max of 12 people. Tournaments are $35 per person and lanes are reserved for 2 1/2 hours. If you have less than five people, they recommend a walk-in session which is unreserved, $20 per person and gives an hour of throwing time. More information on booking and pricing can be found here . They do not serve food or drink, but will allow you to order food and have it delivered. It is also "BYOB" for alcohol and limited to one drink an hour, said Seasy. They hope to open by mid-February.